Hui Lynn’s areas of expertise include cross border corporate and commercial transactions, foreign direct investments into Malaysia, regulatory compliance, providing Malaysian advice to Malaysian companies listing in foreign countries, prospectus drafting, private mergers and acquisitions, private equity, and issues relating to the Labuan International Business and Financial Centre. Hui Lynn also has experience in private client work such as establishing trusts and foundations for both commercial and private use. Hui Lynn commenced her pupillage with Zaid Ibrahim & Co. (a member of ZICO Law) at its office in Kuala Lumpur in December 2010. 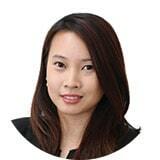 She was retained as an Associate upon the completion of her pupillage in 2011. Hui Lynn was awarded the British Chevening Scholarship to pursue her MBA in 2015. During her MBA, Hui Lynn worked on consulting projects as a student consultant with ARM Limited (the world’s leading semiconductor IP company) in Cambridge, and the World Health Organisation in Geneva. During her summer term, Hui Lynn was also a Global Wealth Management MBA Summer Associate with JP Morgan Chase Bank in Singapore.